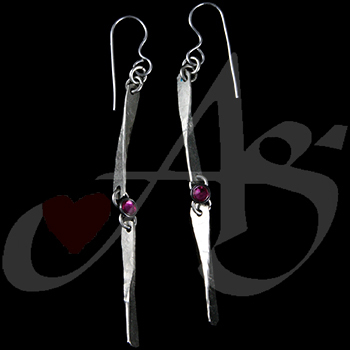 This Pair of Earrings is made with round faceted pink Swarovski crystals and organic sheen silver hand textured nickel. It features silver hand crafted chain. 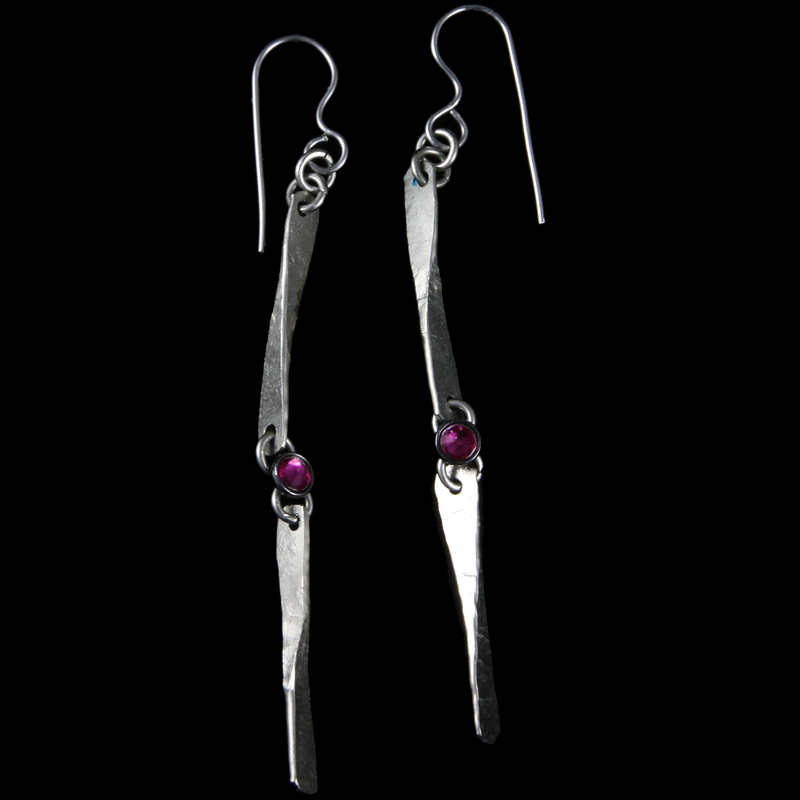 This piece has fish hook earrings fastenings and findings.